College can be a difficult transition for many students. To help address students’ academic needs, many community colleges have started support services programs. Learn about some of these common programs and how they can help you be successful in school. There are many perks to attending community college. From a financial standpoint, a community college education is far less expensive than one from a four-year school. Class sizes at community colleges tend to be smaller, so students can usually count on more individualized attention from your professors. Community college campuses are often closer to home as well, so students have an easier commute if they live off campus. If they live on campus, there are more social and recreational programs available today than ever before. But going to college can still be a hard transition to make. The coursework is more rigorous than in high school, which can cause some students to struggle to keep pace. Some students enter community college without all the skills they need to be successful as well. Fortunately, community colleges have made student support services a primary focus of improvement over the course of the last twenty years. With academic support services like tutoring and remedial classes, on-campus advising and counseling services, and job-placement and transfer assistance programs, campuses offer assistance for students’ most common needs. According to a report by the Community College Research Center, about six in ten community college students are referred to some kind of remedial course. For a healthy portion of those students, more than one remedial course is required. Being told you have to take a basic course in college can be surprising – and disconcerting – because most community college students are high school graduates and should have the skill level required to be successful in college. In years past remedial courses were semester-long, non-credit courses that took time and money away from students’ pursuit of coursework they need to graduate on time. As the costs of paying for non-credit classes built up, many students simply dropped out of school. The Community College Research Center reports that of students in remedial courses, just one-quarter go on to graduate from college within eight years. But some schools are attempting to change that by revolutionizing the manner in which students undertake remediation. At Grand Rapids Community College in Michigan, the Fast Track and On Track programs seek to help students in need of remediation accelerate their skill development. Highly intensive courses focus on building academic skills required of college level work. 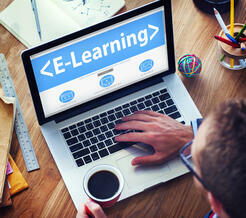 Students take part in online activities, as well as workshops in a classroom setting with a tutor. By the end of the course, students that demonstrate adequate skills can bypass remedial courses altogether and enroll in college-level courses. And rather than taking a semester like many typical remedial courses, the program lasts just three weeks. At Ivy Tech Community College, the largest post-secondary institution in Indiana, officials have reworked the math curriculum to relate specifically to a student’s area of study. Now students studying automotive mechanics and information technology learn math in the context of their career fields rather than trying to learn abstract concepts in a classroom. Giving math applicability to the real world has helped students find success in math that they’ve never had before, thus reducing the number of students that need to repeat their studies in mathematics. At Westchester Community College in New York, students access the Academic Support Center on the ground floor of the school’s library. Staffed by peer tutors as well as professors, the support center offers one-on-one and group study sessions, as well as online programs for brushing up on knowledge and skills in math, English, science, and a host of other subject areas. There are computers for student use, and even workshops on reducing test anxiety, improving memory, and building study skills. The purpose of these learning centers is to provide the academic support students need, but without perpetuating the notion that students who seek out those services are ill-equipped to be college students. Furthermore, support centers seek to provide the assistance that struggling students need in the hope that they will not need to take remedial courses in the first place. These centers have become a staple of community colleges recently, marking a significant expansion of programs and services aimed at retaining students and seeing them through to graduation. Many community colleges offer success courses to incoming freshmen that aim to prepare students for the rigors of collegiate studies. At Tulsa Community College in Oklahoma, incoming freshmen are required to take a course entitled “Academic Strategies.” The course, which is a semester in length and worth one credit hour, focuses on study skills, time management skills, and the development of critical thinking strategies. At most community colleges, these kinds of courses are required only for students enrolled in remedial classes. However, at Houston Community College in Texas, all students who enroll at the school with fewer than 12 credits are required to participate. The result of these success courses has been quite good – in Tulsa, students in the program are 20 percent more likely to graduate, in large part to the expanded skillset they acquire over the course of the semester. Access to support from peers and professors is both easy and ongoing. At Kingsborough Community College, this learning community format has helped students develop the skills they need to successfully complete their coursework in a timely fashion. As a result, students in the program earn more credits than their peers over the same timeframe. As with students in learning communities at other colleges, Kingsborough’s participants are more likely to graduate as well. Having academic advisors to help students along the way is another important component to a successful community college experience. Advisors can help students formulate an academic plan, from what classes to take each semester to stay on track for graduation, to assistance with enrolling into courses and checking to ensure students meet prerequisites for courses. Additionally, advisors can offer insight into campus support services that are available if a student is unfamiliar with the programs that are offered. Many advising and counseling centers, such as the one at Itasca Community College in Minnesota, offer many services academic services. Tutoring and study groups are available, as are workshops that focus on building critical reading and writing skills. 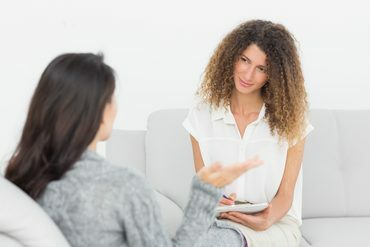 Academic support groups are often offered as well, to ensure students who feel the pressure to succeed can interact with and get support from others that feel the pressure as well. To help transition students from college to the workforce or to another institution of higher learning, many community colleges also offer career and transfer services as part of their advising and counseling program. This allows students and advisors to discuss the specific transfer requirements of four-year institutions in the area, as well as learn about career opportunities for graduates with an associate’s degree or career certificate. Community colleges will often hold education and career fairs so students can talk firsthand with representatives from local businesses and universities. Also common are career testing and placement services. Whether you’re a first year college student overwhelmed by the academic demands of your degree program, a student in need of basic assistance with math or English, or a student ready to graduate and enter the world of work, your community college will have programs and services like these that help you meet your academic goals and ease the transition into the next phase of your life. It’s just a matter of knowing where to look and being willing to take advantage of the assistance provided. Consult with your advisor or counselor, talk to a professor, or ask a friend in order to find out about the programs available at your community college. ASC – Frequently Asked Questions. Westchester Community College, 2014. Web. 5 Nov 2014. <http://www.sunywcc.edu/student-services/counseling/counseling-faqs>. Bailey, T. and Sung-Woo Cho. Developmental Education in Community Colleges. Community College Research Center, Oct 2010. Web. 5 Nov 2014. <http://www2.ed.gov/PDFDocs/college-completion/07-developmental-education-in-community-colleges.pdf>. Fain, Paul. Success Begets Success. Inside Higher Ed, 21 Feb 2012. Web. 5 Nov 2014. 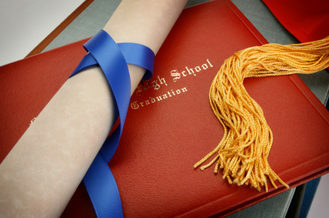 <https://www.insidehighered.com/news/2012/02/21/student-success-courses-catch-slowly-community-colleges>. Fast Track/On Track Programs. Grand Rapids Community College, 2011. Web. 5 Nov 2014. <http://www.grcc.edu/collegesuccesscenter/fasttrackprogram>. Hayden, Maureen. Remedial Math is Common in Indiana Colleges. Goshen News, 12 Jan 2014. Web. 5 Nov 2014. <http://www.goshennews.com/news/local_news/remedial-math-is-common-in-indiana-colleges/article_dffe2f5d-292c-52d2-b7c8-375995a3ffc1.html>. Learning Communities. Bunker Hill Community College, 2014. Web. 5 Nov 2014. <http://www.bhcc.mass.edu/learning-communities>. What Have We Learned About Learning Communities at Community Colleges? MDRC, July 2012. Web. 5 Nov 2014. <http://www.mdrc.org/publication/what-have-we-learned-about-learning-communities-community-colleges>.